Bella Thorne shared a video on Snapchat wearing ban.do over the weekend! 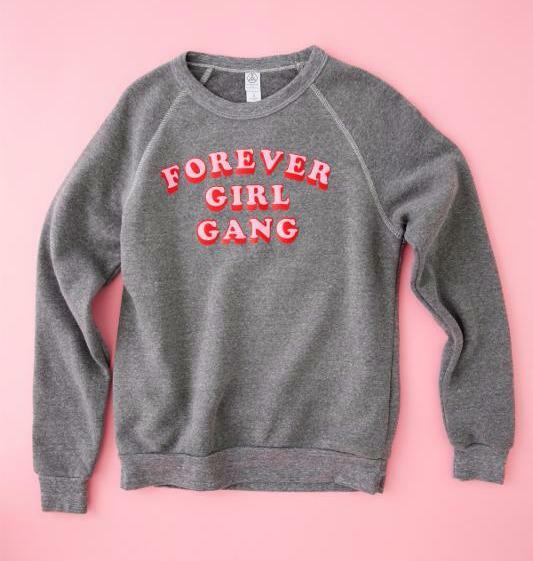 The actress was rocking her Forever Girl Gang sweater ($48, www.bando.com). In addition to the statement top, I really like her ripped jeans. By the way, is that her I am very busy phone case from ban.do that she is using to snap that photograph. See more of Bella Thorne from the about Bella page.